#MoviesMusicPlaysFilmFestivalsConcerts: News: Chris Bell's "Prescription Thugs" takes on powerful Big Pharma! 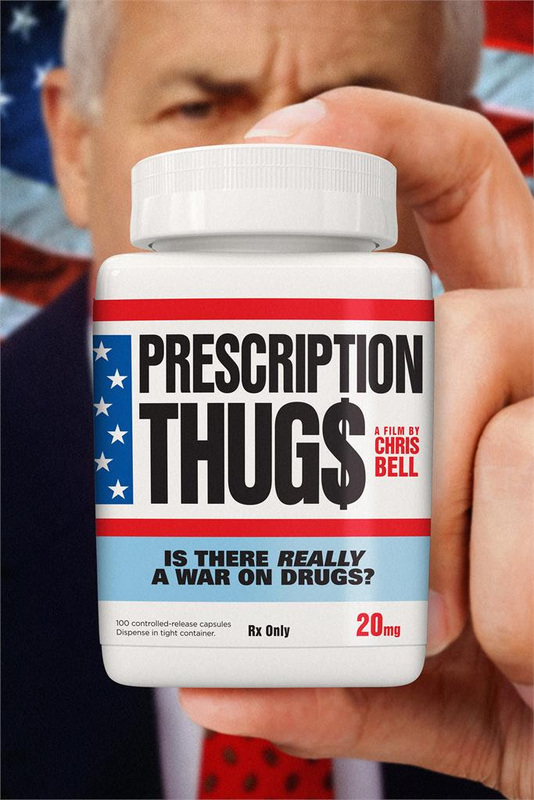 News: Chris Bell's "Prescription Thugs" takes on powerful Big Pharma! The theatrical release of "Prescription Drugs", the follow-up film of acclaimed filmmaker's Chris Bell to his Sundance hit, "Bigger, Stronger, Faster", is scheduled on January 22, 2016. The release date also marks the film's debut on iTunes and on demand. This hard hitting and thought provoking documentary exposes the Big Pharma, its marketing practices and their impact on the staggering level of addiction to prescription drugs in North America. This is Chris Bell's follow-up to his film "Bigger Stronger Faster" after witnessing friends and relatives face tragedy as they become addicted to prescription drugs. Bell sets out to explore the goals of pharmaceutical companies and doctors in this ever-growing market and asks how are they any different to back-alley drug-pushers. His journey leads to experts on the nature of addiction in our culture as well as to pharmaceutical whistle-blowers that testify to the solely dollar-driven aims of pharmaceutical companies. In the film, Chris meets with WWE legends such as Matthew “Horshu” Wiese and Chris Leben, with former California State Senator (now Congressman for California's 33rd District) Ted Lieu, pharmaceutical company whistle-blower Gwen Olsen, Cliffside Malibu Rehabilitation Center founder Richard Taite, Professor of Psychiatry David Healy, author of Generation RX Greg Critser, and members of his own family. "Prescription Thugs" is a Samuel Goldwyn Films release. Vince Vaughn and Peter Billingsley serve as the films Executive Producer.